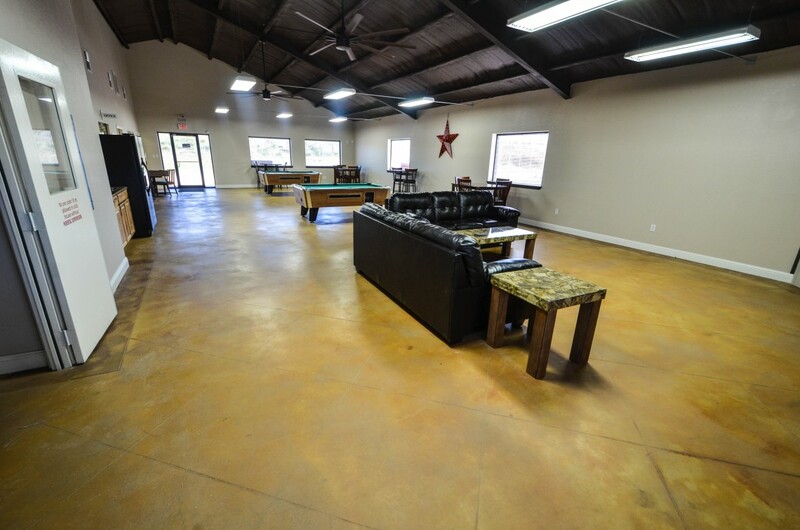 Opened in 2014, our Elite clubhouse is a 3,000 square foot building that houses the check-in office as well as high-tech amenities with high-end finishes. 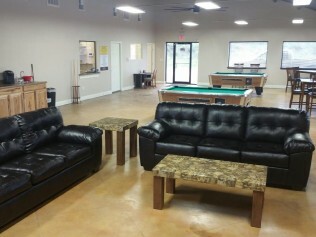 We did not spare a dime to provide our tenants a place to relax and enjoy; a space that is comfortable and entertaining, away from their trailer and/or lodge. 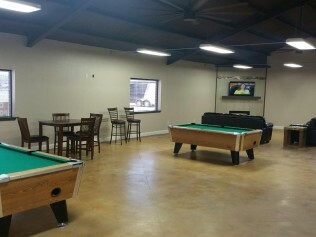 Our intent was to build a space where guests can meet their neighbors, enjoy activities and take care of their personal needs in an all-encompassing facility. 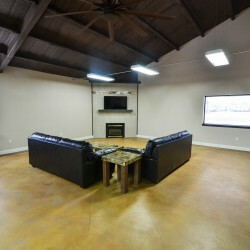 With our guests’ comfort in mind, we constructed the clubhouse building to include heating and air conditioning and, with all Energy Star units, is always kept at a constant 71 degrees. 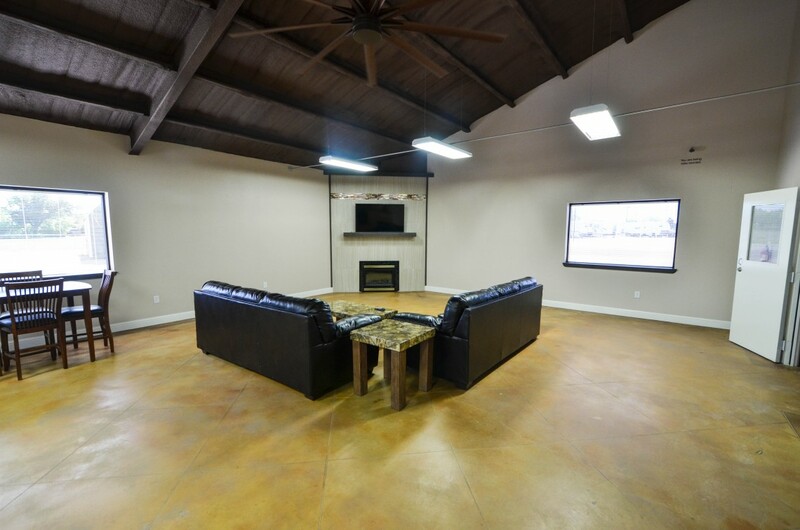 The building and park are constantly under alarm and surveillance with 8 high power cameras for your safety. 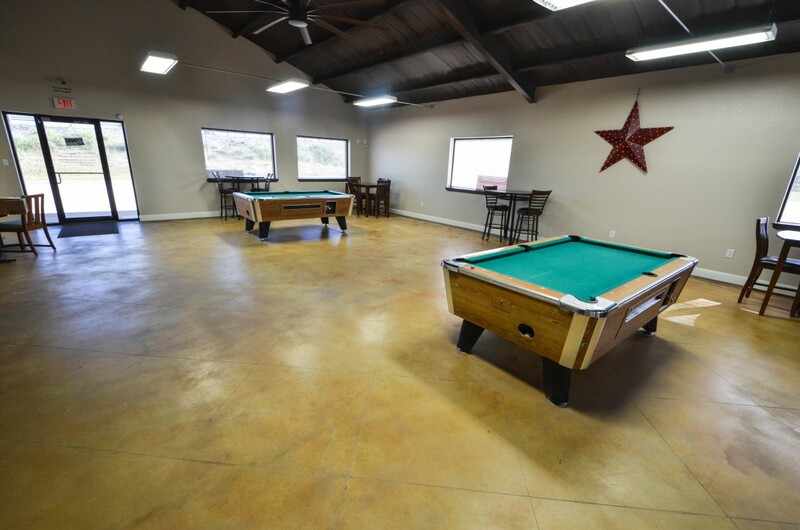 In addition, all the amenities of the facility are reserved for Elite Cabins and RV Park guests only, with programmable locks to ensure guest safety and security. 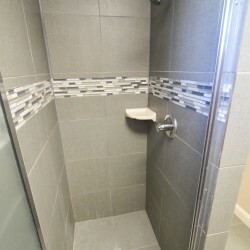 The clubhouse features both men’s and women’s bathrooms, and both have tiled floors and fully tiled showers with glass doors. 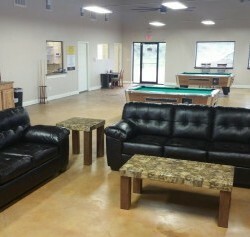 All guests of both the RV park and the extended stay cabins are welcome their full use. 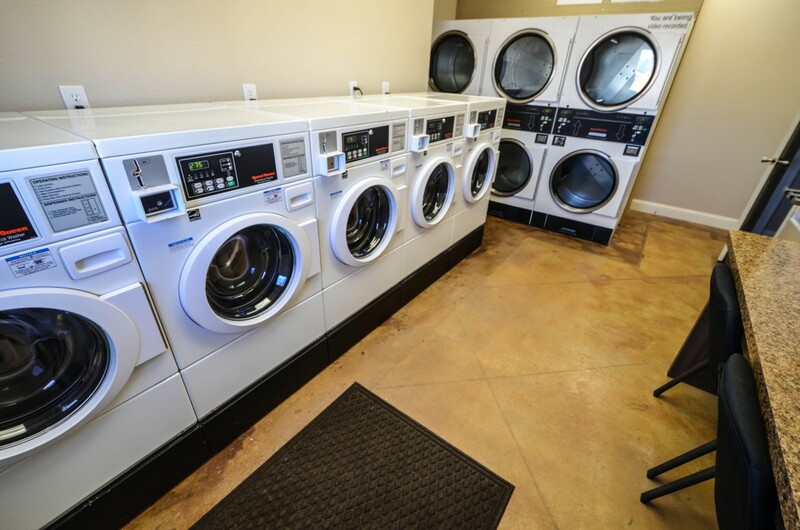 Our expanded laundry room consists of 5 oversize Speed Queen washing machines, and 6 very large Speed Queen Dryers. 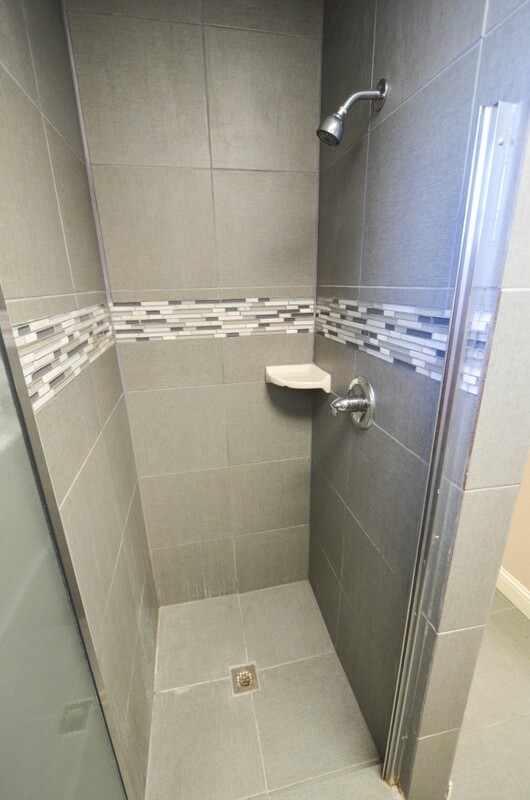 All machines are top of the line and brand new as of 2015. 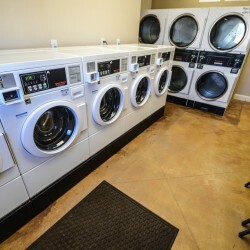 Coin machine and laundry detergent are available as well for your convenience. 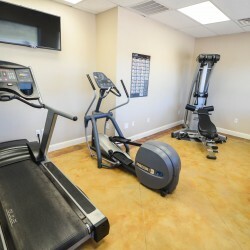 The fitness center includes a G-5 Life Fitness full-body training system, a Life Fitness treadmill and a Precor elliptical machine. 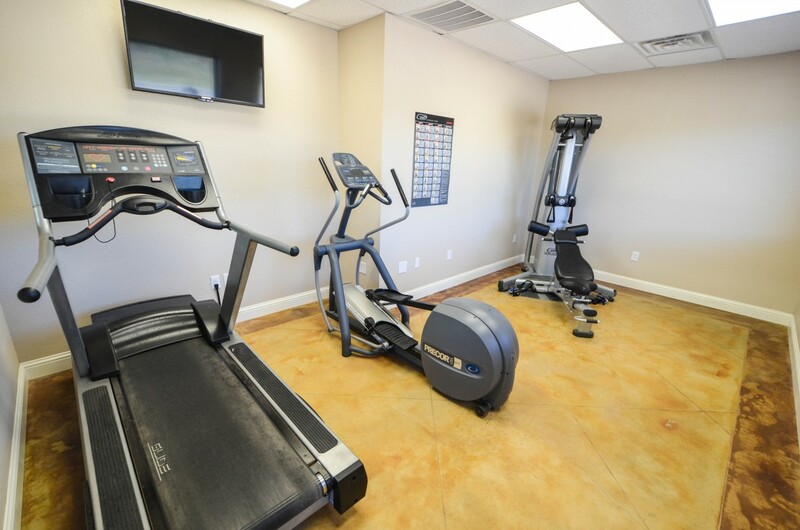 You can get in, turn on the TV, and get your workout done before or after the day begins. 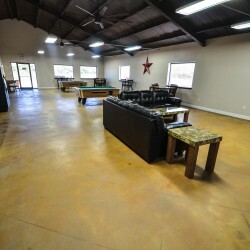 The main, recreational area of the clubhouse includes 2 pool tables, 2 couches and tables, lots of seating, a big screen TV, and fireplace all on stained concrete floors, kept comfortable by giant eight-foot ceiling fans. 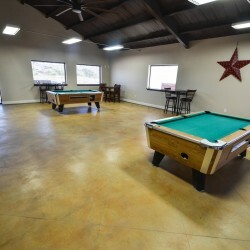 When you stay in our RV park or in our modern lodge and cabins here in Big Spring, Texas, we strive to make your stay the best it can be. 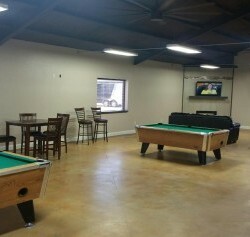 For reservations and more information regarding extended stay options call us at 432-692-0008. We’d be happy to help.